No photo of my own today, rather I'm linking this post to the promotional photos taken by ace photog, Mick McKiernan, of the performers in the upcoming aerial dance show, ALLOY. The entire show is performed by Cycropia members or students, on steel apparatus hung from the ceiling in the gymnasium of the local Boys and Girls Club. We had our final rehearsal last night, and while not without some rough spots, the show is shaping up beautifully. There is a wide range of movement, intensity, and emotional content presented. All that remains is an 8-hour evening on Saturday night to rig all the lighting, rig and hang the background curtain, clean and set up folding chairs, and have a costumed tech run. Then, we all get a good night's sleep so we're fully rested and ready to deliver two magnificent shows on Sunday. MICK'S ALLOY PHOTOS HERE Thanks Mick! If you're in the Madison (WI) area, I urge you to come to the show. 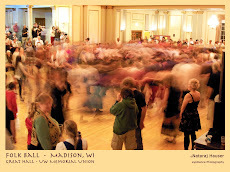 The show times are Sunday, April 6th, at 4 PM and 7 PM, at the Boys and Girls Club, 2001 Taft St, Madison, WI. Tickets are still available for both shows for $10. The 4 PM show is nearly sold out.